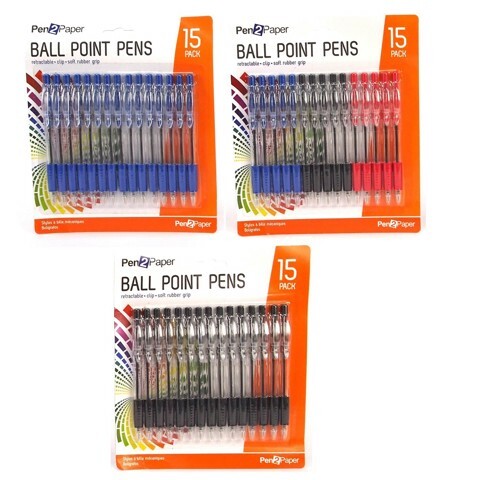 Pens Ball Point 15Pk 3Asst. 13.7cm Length With 2.9cm Grip Pad. 1.0mm Pen Nibs. 3 Pack Mixes: 5 x Blue | 5 x Black | 5 x Red - All Blue - All Black. PP l Ink. 121G Packaging: PVC Pouch with Colour Insert.